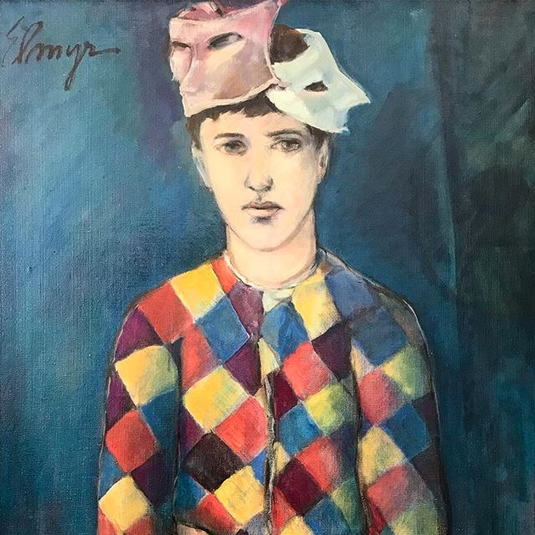 This painting titled “A La Manera de Picasso” is not a fake but an original by the master art forger Elmyr de Hory art forger Elmyr de Hory and hangs in the Museu D'Art Contemorani D'Eivissa in Ibiza. Elmyr fooled the world with his many incredible fakes that still hang in museums and collections everywhere. His lost his life in Ibiza, in 1976, where he produced a large range of works. Including many fakes of Picasso.